I’m filing this one under “mobile” because that’s where this product is most likely to be handy. Here’s the scenario: you’ve got a small charger or some other device that uses one of those standard detachable dual-prong AC cables to attach to the wall. So you end up having to carry your charger and a coiled cable, and that cable sometimes ends up taking as much space as the charger! Apple solved this problem originally with their MacBook AC adapters, and eventually with other products as well: the AC adapter allows you to slide off the cord that goes to the wall socket and replace it with a direct set of folding plugs, or better yet, with optional International plugs that you can buy. 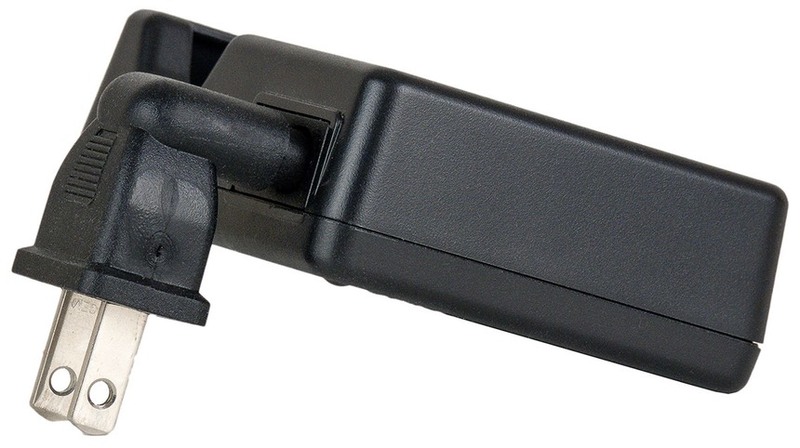 Nikon came up with their own variant of this for the EN-EL15 charger: a small rotating stub that you can use in place of the AC cable. Well, the US$9.95 Stub Plug is the solution for the rest of you (you can get multiples at a discount). 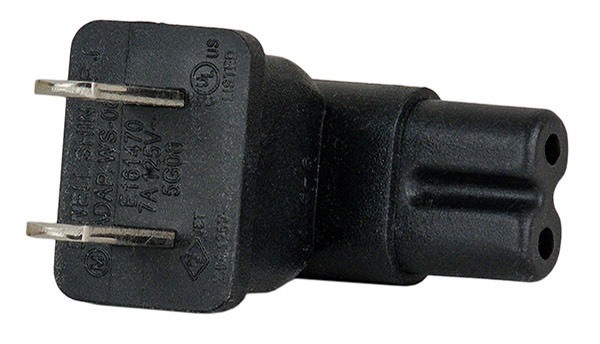 It’s basically a right angle plug (US only) that fits into those ubiquitous double round jacks on most accessories. Heck of a lot easy to carry (or just leave plugged into your charger). Hard to actually review these things, as they only do one thing and they have no options. Do they work? Yes. Are they useful? I think they are. Will they solve all your problems? No. The one thing to note is that they work great for sticking a small charger directly onto an AC outlet. But if you’ve got a big, heavy charger or device, that might not work, as all the extra weight might tend to pull the whole thing out of the wall socket. On the other hand, I tend to travel with a small power strip, and that might solve the problem for big devices, as you just put the power strip on the floor or table top and plug the device into them. The strip will lean, but you’ll be fine.